Have you guys seen all the carrot projects lately? I’ve been loving them! Some of my favorites have been seen over at Tauni Everett and Tatertots & Jello. If you haven’t seen them, be sure to check them out! 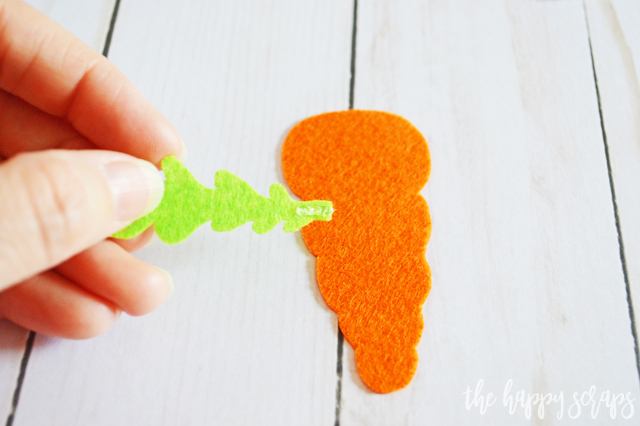 I decided that I wanted to create a fun DIY Felt Carrot Bunting, and it really couldn’t have been easier! 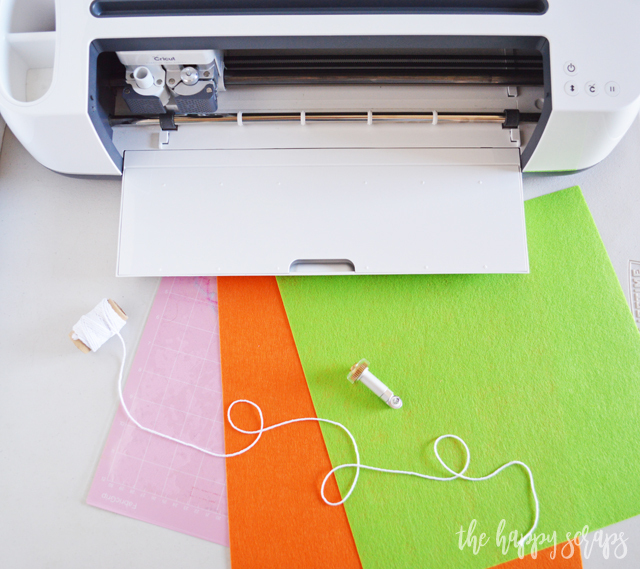 Today I’m sharing with you how to make one so you can have one for yourself too! 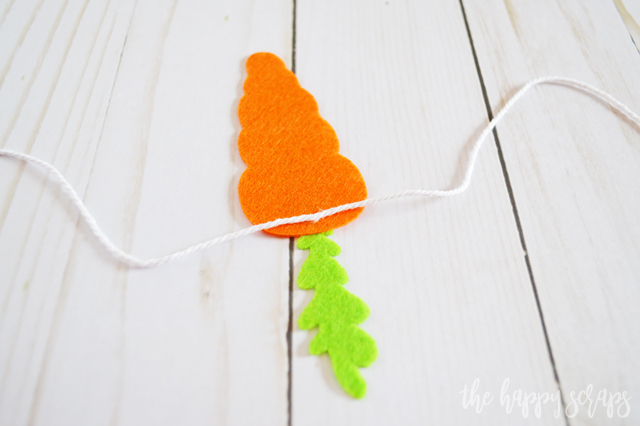 This DIY Felt Carrot Bunting post contains affiliate links. If you click on an affiliate link and purchase something, you won’t pay anything extra, but it will help support this blog. All ideas and opinions are my own. You can create your own carrot design in Design Space, or you can use the one I used. If you have Cricut Access, then these designs are part of your subscription. 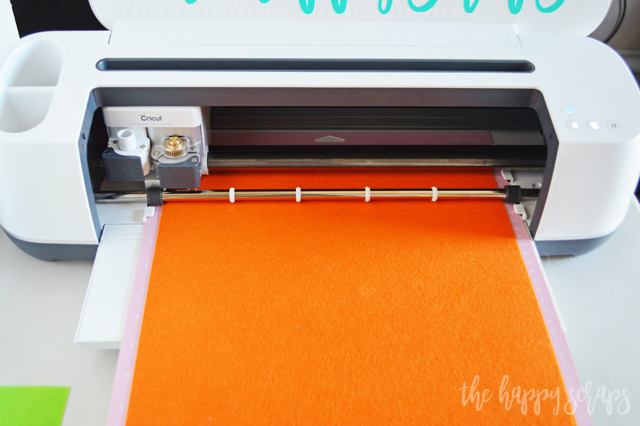 When you’re ready to cut, place your felt onto the fabric mat. When prompted, load your rotary blade and mat into your machine and start cutting. 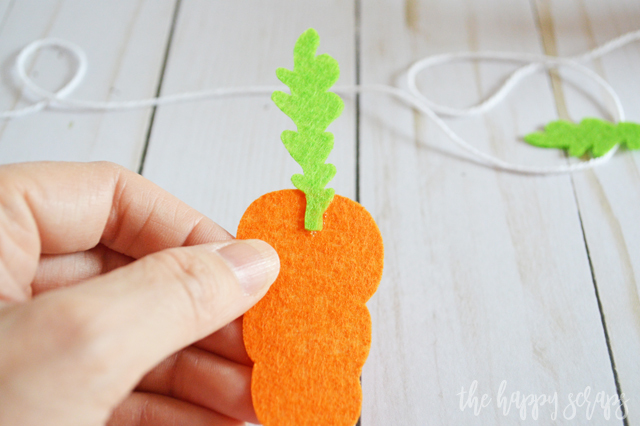 Once all of the designs are cut out, you’re ready to assemble your DIY Felt Carrot Bunting. 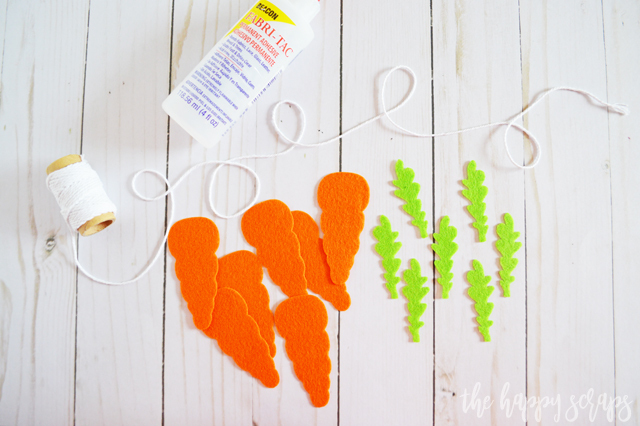 Place a small amount of Fabritac onto the back of your carrot stem. Place the stem onto the carrot where you’d like it. Let dry. Continue with the rest of the carrots. You’ll have all of your carrots ready in no time. Once they are dry, spread out your string. I measured how long I needed my bunting to be for where it would hang and cut the string. I found the center, and attached the carrots working from the center outward. 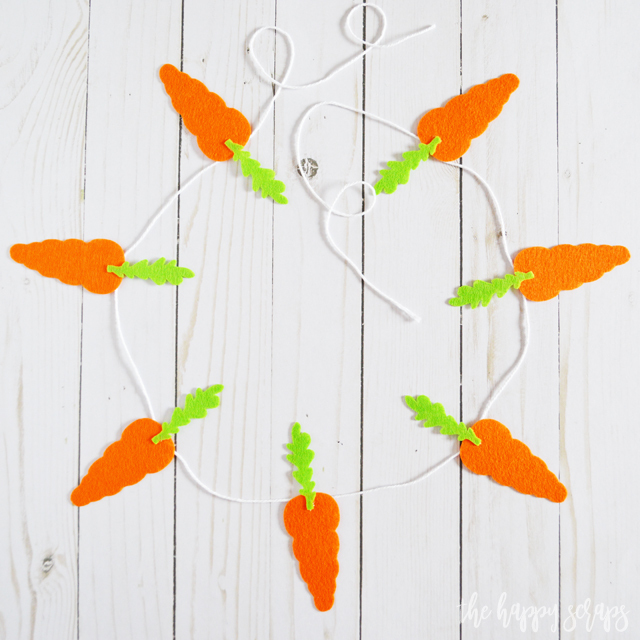 Using a small dot of glue, I attached the twine to the back of the carrots. 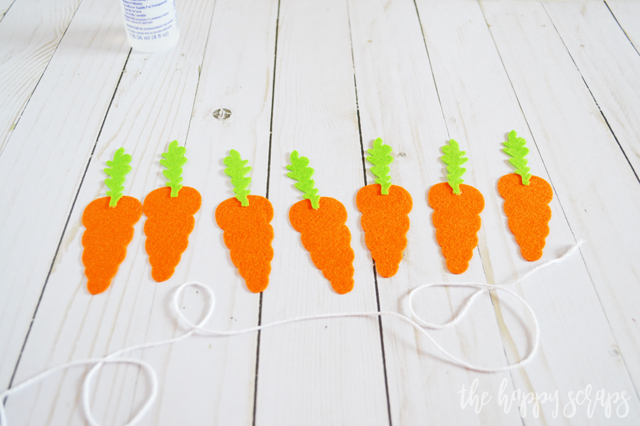 I spaced my carrots about 4.5″ apart making them even on the string as well as making the whole DIY Felt Carrot Bunting be balanced. 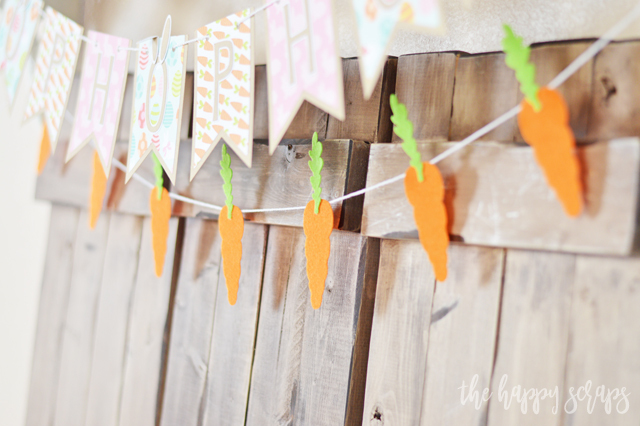 In no time at all, I had this cute Carrot Bunting finished! I took it downstairs and found just where I had planned to hang it and it worked out perfectly! 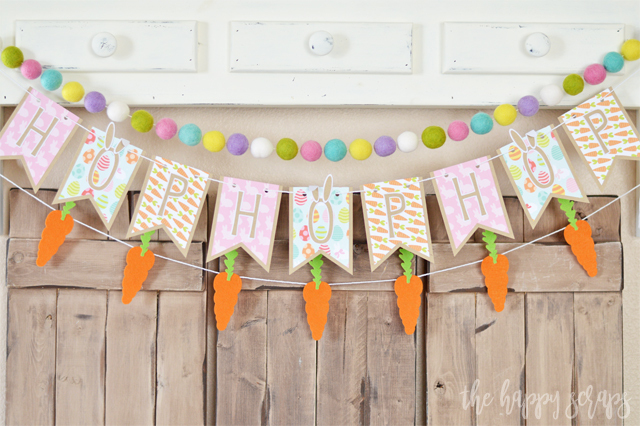 Doesn’t it look so cute with the Hop Hop Hop Easter Banner? 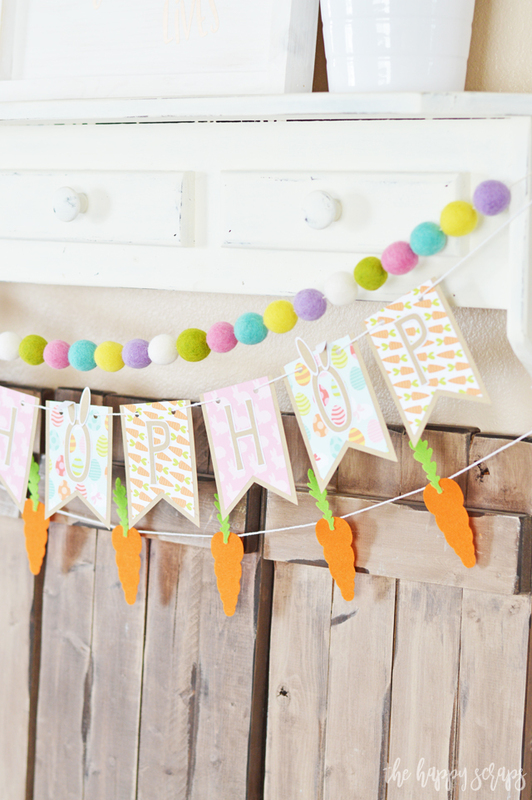 I think the DIY Felt Carrot Bunting along side the felt balls and Hop Hop Hop Easter Banner are the perfect combination together, don’t you? 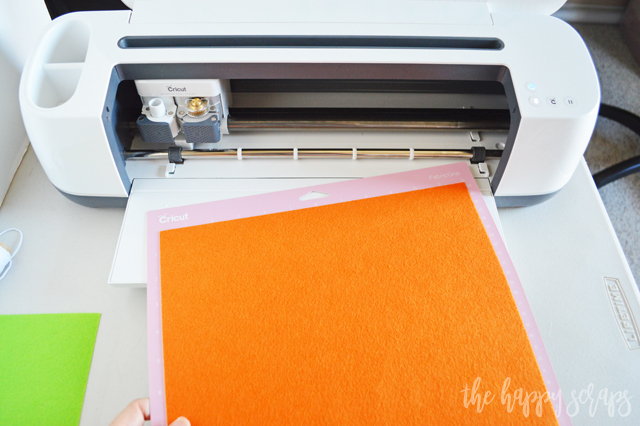 I have lots more fun + simple Easter projects for you to check out. Don’t miss out on those, you can find them here.